I almost never make pound cake. With all my other baking, we don’t need a pound of cake. But two little mini cakes is a different story. I’m not sure who eats traditional pound cake that’s made with a pound each of flour, butter, eggs, and sugar. That’s one heavy cake. They must have super-human metabolism. For my version, I added cream cheese in addition to the butter. It adds extra flavor, richness, and moisture. 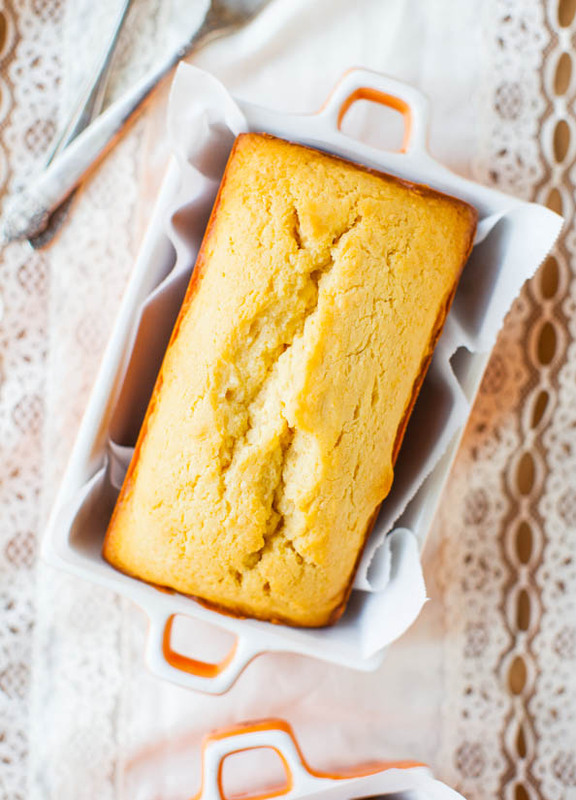 Pound cake is prone to dryness, and there’s nothing more inedible than dry cake. Why bother. The cream cheese helps combat that pesky problem. The batter comes together in just minutes. All at once, cream together butter, cream cheese, eggs, sugar, and vanilla. Fold in the dry ingredients and you’re ready to bake. I baked them as two mini loaves because mini food is cuter, of course. And I find it easier to control the overall browning and dryness levels when I bake dense batters in smaller loaf pans rather than as one big loaf. 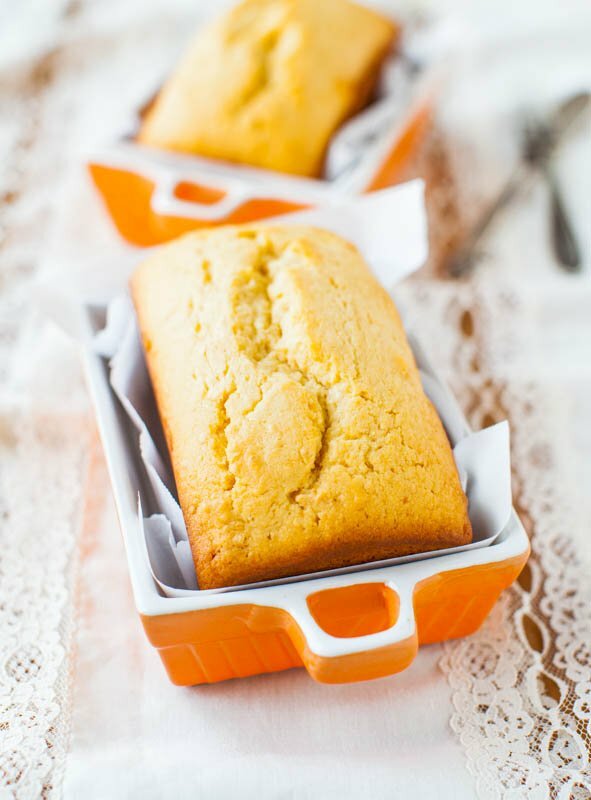 I love this Set of 4 Mini Loaf Pans for $9.99, but if you don’t have mini pans, it can be baked in a 9×5 pan. You’ll likely extend baking by 10 to 15 minutes, and if necessary, tent it with foil midway through cooking if your loaf is becoming overly browned. I love the cracked tops. I’ve read that a cracked top on banana bread is the signal of a great loaf. It indicates that the wet and dry ingredients, as well as leaveners, were all combined in proper ratios to create steam, which escapes via the crack. When I see a crack, I know the loaf is going to be a keeper. The cake has a very dense and tight crumb, yet they’re surprisingly light. It’s just sweet enough and very subtly flavored with cream cheese. 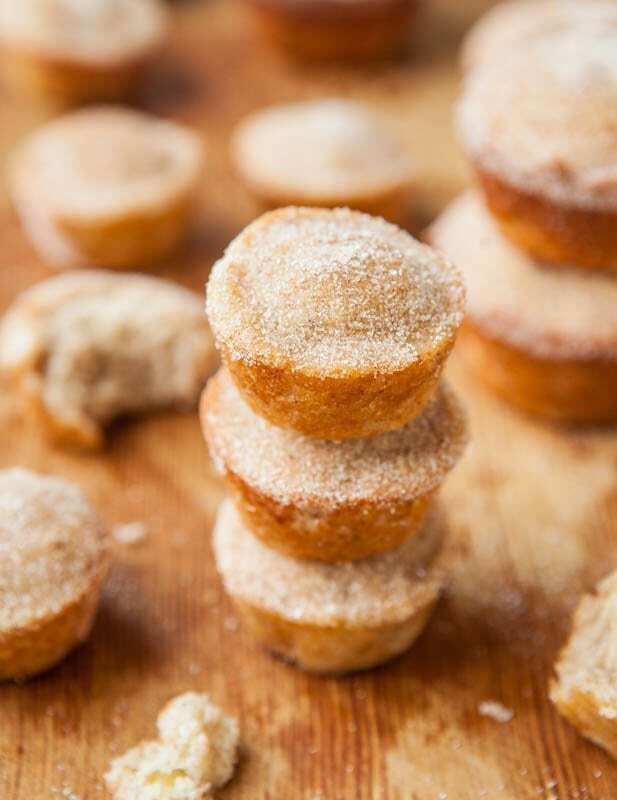 The cream cheese plays more of a role in adding moisture so the little cakes stay soft and moist. 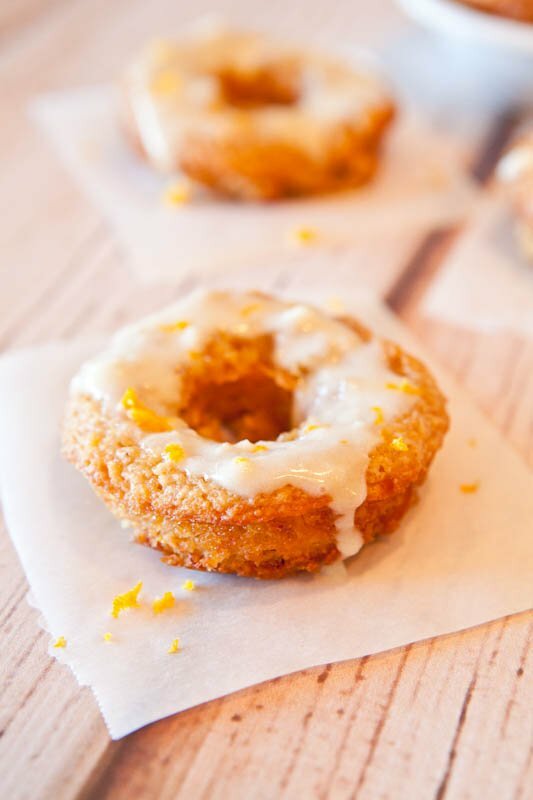 The vanilla cream cheese glaze was the icing on the cake. Literally. 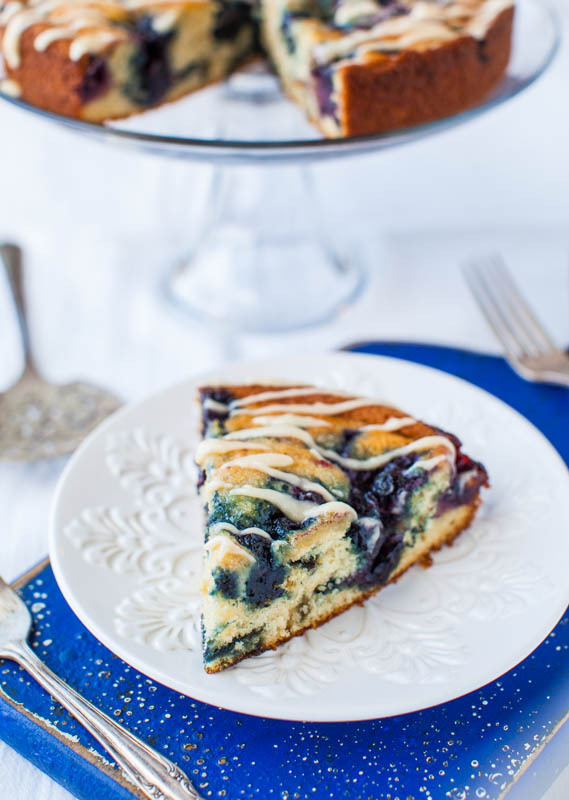 It’s tangy yet sweet, and enhanced the cream cheese vibe. 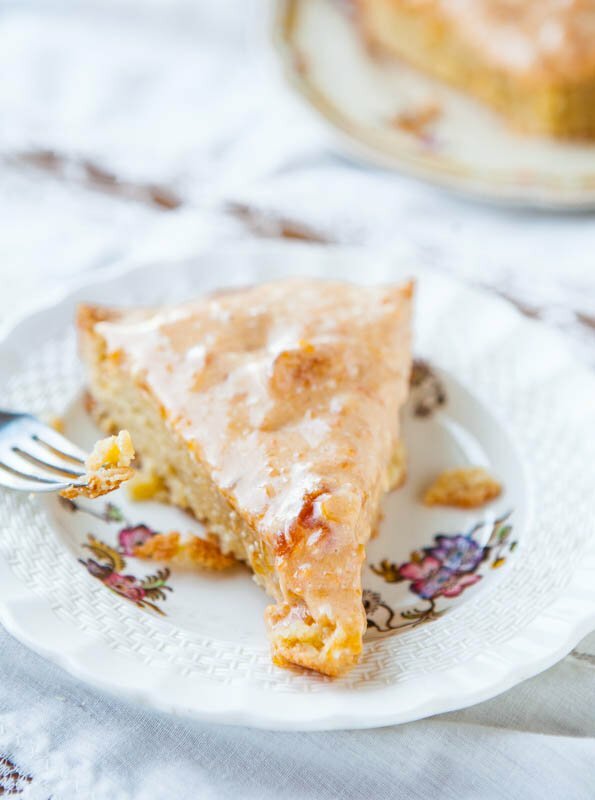 Or try this heavenly Apricot Cream Cheese Glaze or your favorite jam or fruity topping. A handful of fresh strawberries, sprinkled with a touch of sugar, and allowed to macerate for an hour would be lovely draped over a slice. 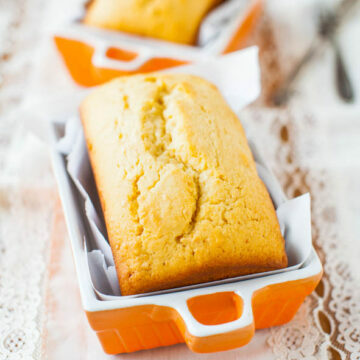 The mini size is perfect to satisfy my once a year craving for a slice or two of pound cake, without having a ridiculously large amount of cake leftover. Let’s face it, no one wants to eat dried out pound cake on day 4 that’s leftover from a huge 10-inch tube-cake of pound cake. And they make adorable gifts. One for you, one for a friend. That is, if you don’t scarf them both down. 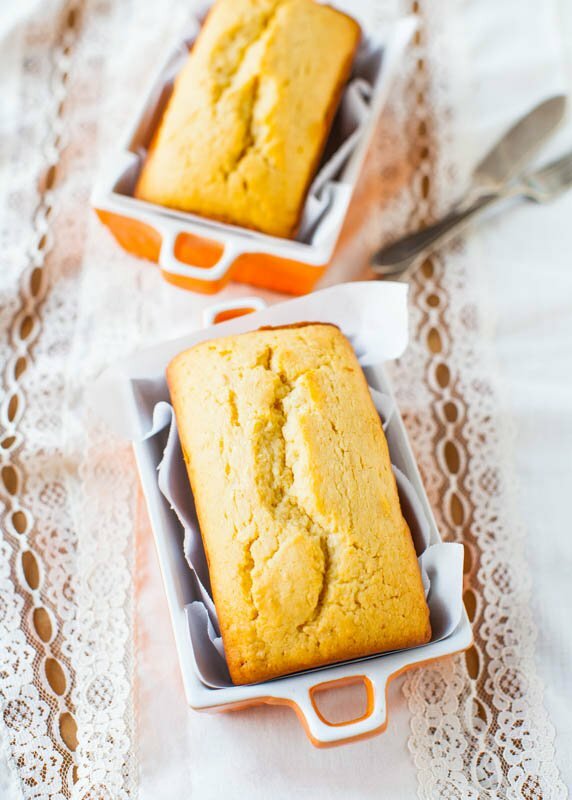 I like this recipe because it makes just two little pound cakes, perfect when you only want a slice or two to satisfy a craving, and don’t want a big cake leftover. 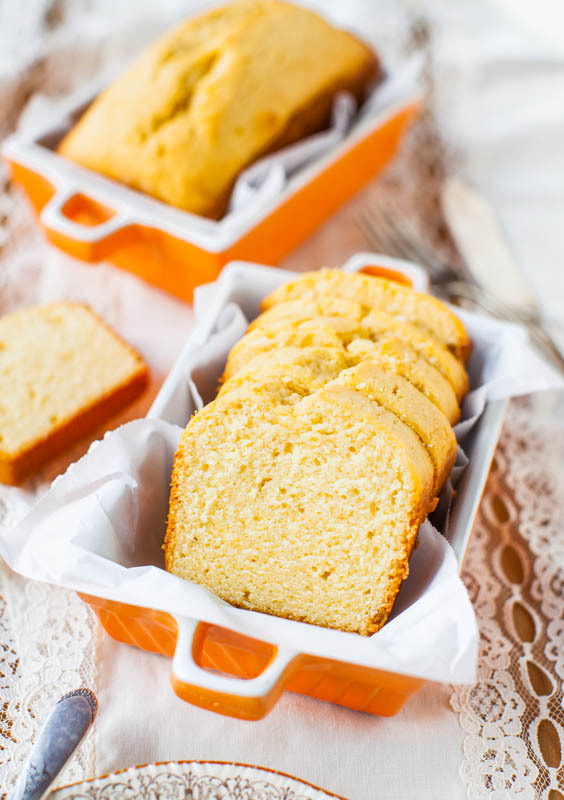 The pound cake is dense and rich, yet light. It stays soft and moist from the cream cheese in the batter, and the vanilla cream cheese glaze is the literal icing on these small cakes. Make one for yourself and give one to a friend if you can part with one of these mini cuties. To the bowl of stand mixer fitted with the paddle attachment (or large mixing bowl and hand mixer), add first 5 ingredients (through vanilla), and beat on medium-high speed to cream them until light and fluffy, about 5 minutes. Stop, scrape down the sides of the bowl, and add the final 3 ingredients. Mix on medium speed until just incorporated, don’t overmix. Turn batter out into prepared pans and bake for 45 to 50 minutes, or until cakes are domed, golden, springy to the touch, and a toothpick inserted in the center comes out clean. I baked for 47 minutes and rotated pans midway through baking. I would bake for about 45 minutes next time. If at any point your cakes seem to be browning too quickly, tent with a sheet of foil; however this was not an issue for me. 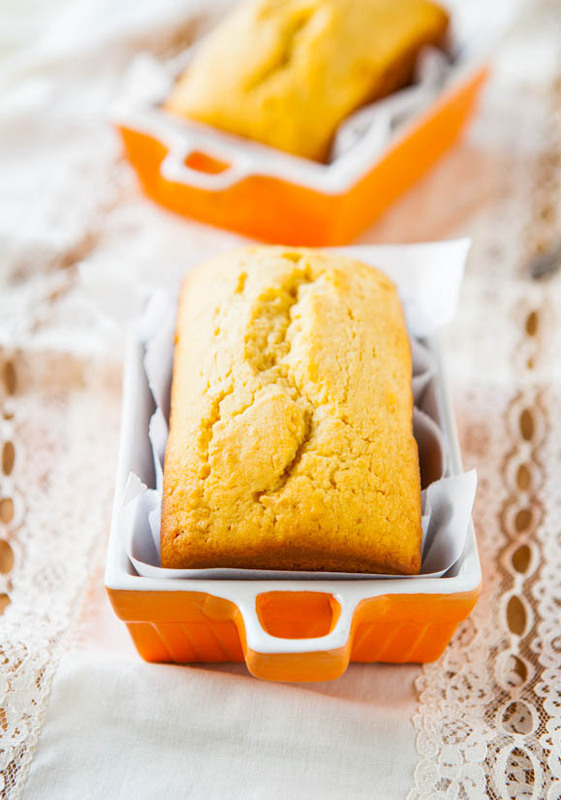 Allow cakes to cool in pans for about 15 minutes before turning out onto a wire rack to cool completely. Cakes are best enjoyed fresh, but will keep airtight at room temperature for up to 5 days, or in the freezer for up to 3 months. 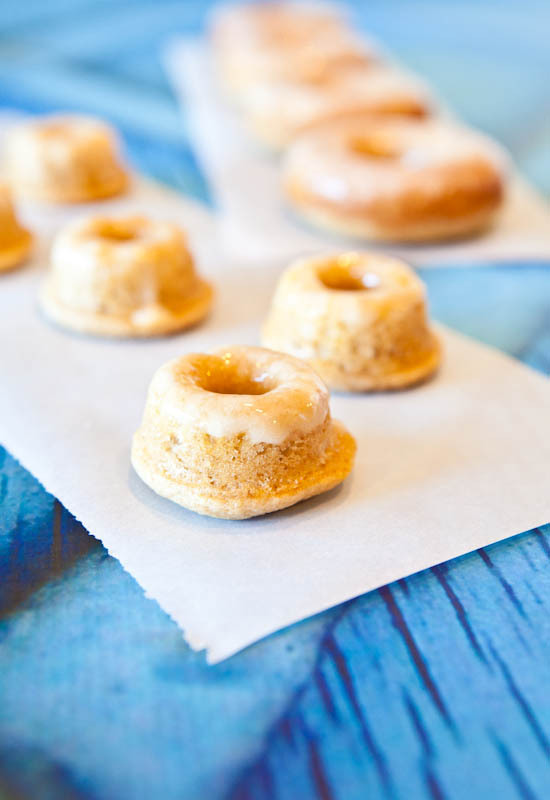 While cakes cool, make the glaze. For the Glaze – Combine all ingredients in a medium bowl and beat on medium-high speed until smooth and silky, playing with sugar ratio if necessary until desired consistency is achieved. Drizzle glaze on top of loaves or spread on the interior of the slices; I prefer the later version. Extra glaze will keep airtight for many weeks in the refrigerator. Today is a very happy day for me because it’s the official release date of my cookbook, Peanut Butter Comfort. Thank you to everyone who’s picked up their copy and for already writing to tell me you received your books. I’m so grateful for your support! Do you like pound cake? 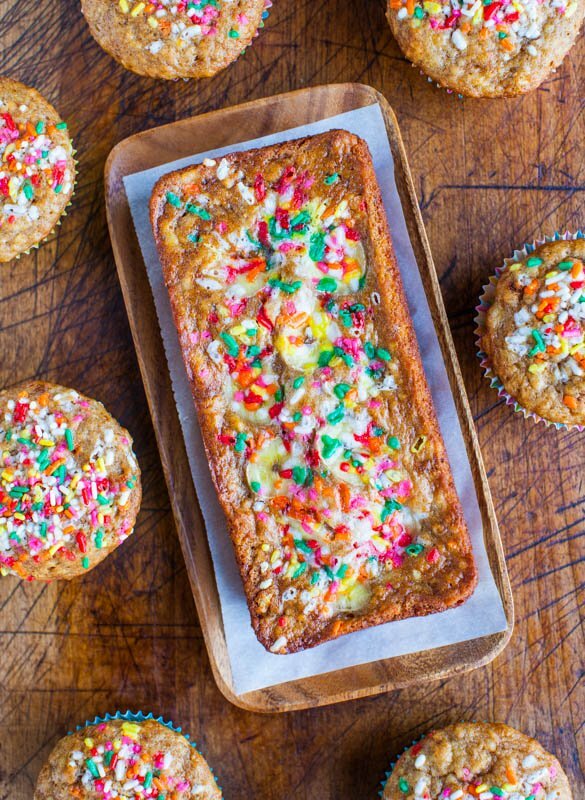 Ever made mini cakes of any kind? Mm this looks so so good! Love the addition of cream cheese to help keep it light. Sounds perfect. I am such a sucker for a really moist pound cake! These look amazing, and I agree that mini is better. These would be so perfect in a gift basket for a new mom or a teacher! Funny you mention teacher! I gave the 2nd one to my daughter’s teacher! 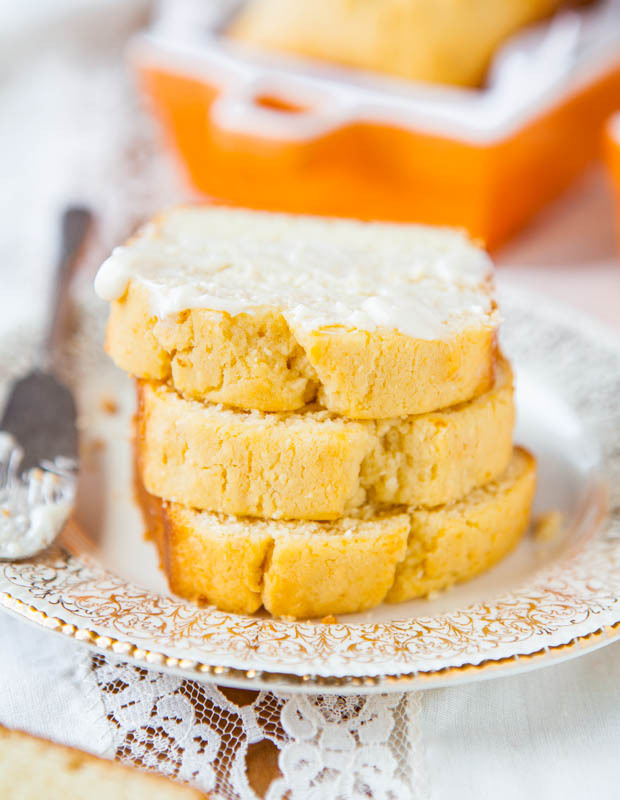 I love pound cake and I bet with cream cheese your version is fantastic! 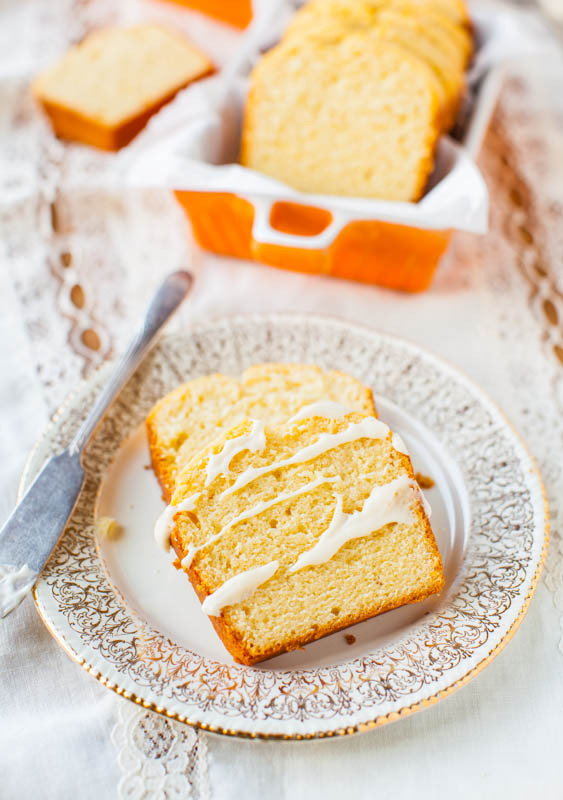 Oh wow, I love pound cake and these are beauties! Those little loaves are just perfect Averie! I can just envision mine topped with fresh strawberries and freshly whipped cream – mmmm! Pinned! Hope you’re able to try the recipe! I stumbled across your blog again! Your recipes are just delicious and I think its a sign that I should come here first when I’m looking for something new and yummy! So- thank you AGAIN for the recipe, I used it in a blog post yesterday! Thanks for the nice comment, Noelle! And I just saw your cake – it’s so festive! :) I am so happy you’re pleased with this recipe and my recipes in general! 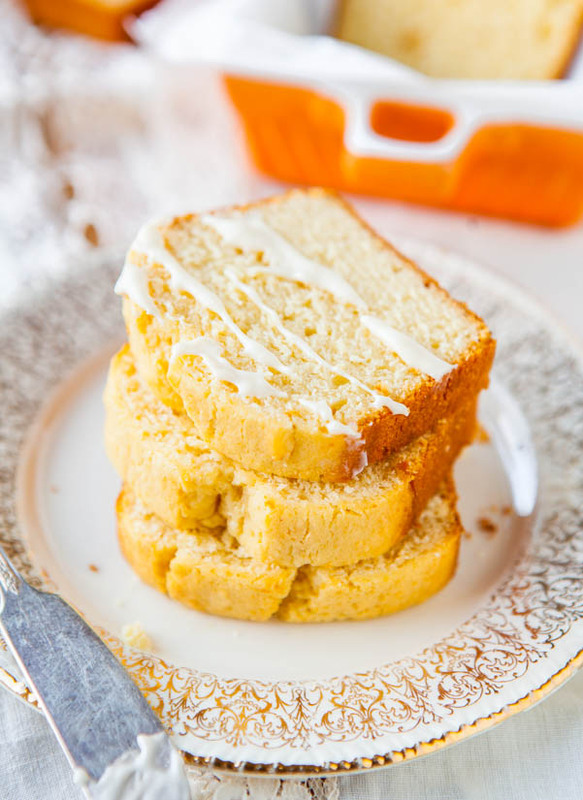 Pound cakes inherently are very heavy on the eggs and butter. I really didn’t get an ‘egg-ish’ taste as you said. Sometimes when cream cheese is baked, the flavors can change. You could tinker around with the eggs and cream cheese amounts but in doing so, you will also have to tinker around with the flour and baking powder. You can’t just remove an egg or cream cheese without likely having to alter other ingredients, too. LMK how your trials go! So glad they were a hit with you and hubby and they’ll be going into the rotation! Yay! One word: Delicious! The cream cheese made it so moist. 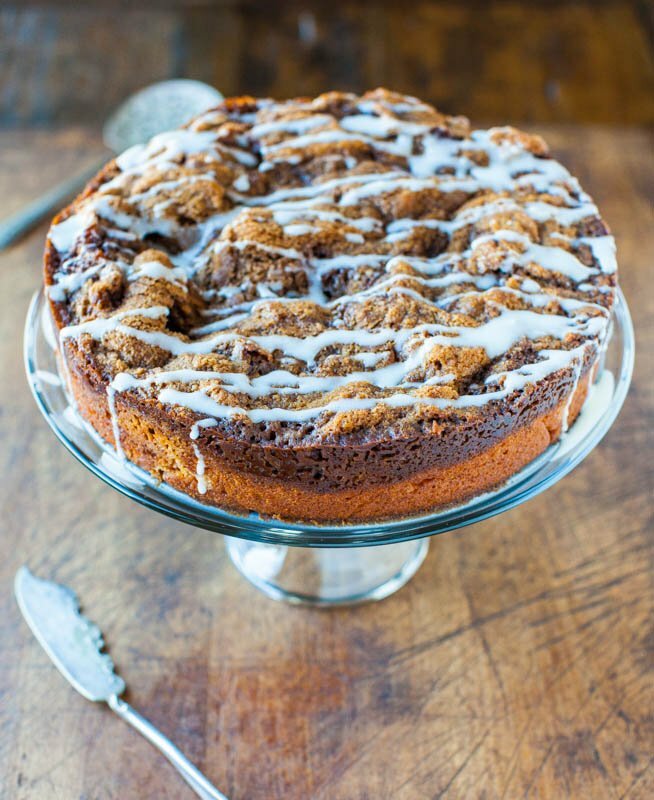 Prepared it in a 9×5 pan, and it was perfect to share for dessert at a dinner party for 4, with a couple of slices remaining for lunch tomorrow. I will make this again! Thanks for trying it, Patrina, and so glad you loved it and yes, agreed on it being so moist! After a failed attempt at a bundt pound cake from a facebook shared recipe, I knew I had to go back to my ‘bible’ of baking: Averie Cooks. The recipe couldn’t have been simpler. I threw the ingredients into my Kitchen-Aid and hardly had to do anything. I poured it into a 1 qt. 9X5 pan and it baked for 45 mins. I used a foil tent because the edges started getting brown very quickly. My tent fell into the cake so I didn’t get a nice pretty dome. The cake itself came out pretty bland, but with the glaze it’s outta this world good. My glaze was thick like an icing so I was able to spread it all over and get some in every yummy bite. Really enjoyed this recipe! Thanks for saying I’m your bible of baking! That’s such a wonderful compliment! And poundcakes, ahhh yes, I too think they’re bland for the most part :) And dry. Thankfully this one isn’t dry but it’s not ‘bursting with flavor’ like some cakes, which is just the nature of the poundcake beast. Thus, a great glaze saves all and glad you enjoyed the glaze! 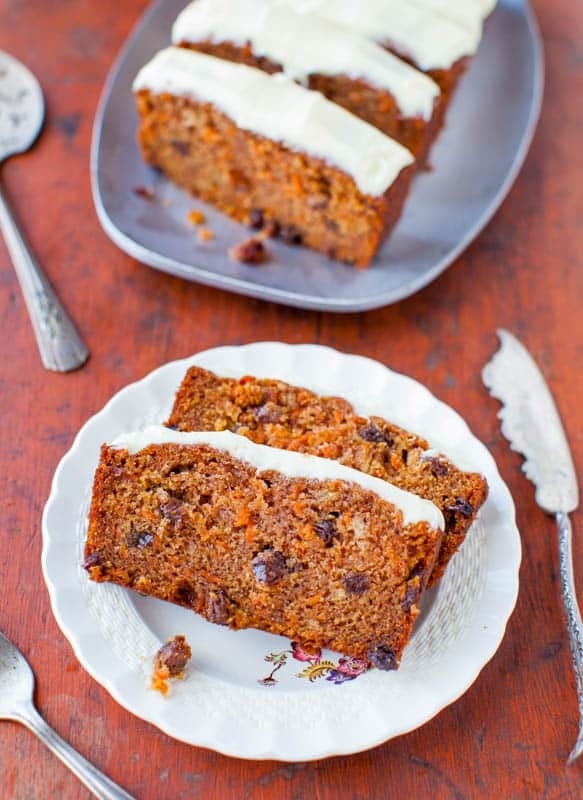 Hi, do you think this recipe could be used for rum cake? Holidays are coming so I’m hunting for a rum cake recipe. ;) Thanks. And greetings from the Philippines! It probably could! Although I haven’t tried it that way. LMK if you do! Sorry… I just retread the recipe… Small font on my iPad! Haha. This looks very interesting I will have to try it sometime! Thanks for trying the recipe and I’m sorry you didn’t care for the texture. I had some spreadable strawberry cream cheese and I used that. I also added half a tsp of lemon extract to give it a more fruity taste. Not bad, probably not quite as good as using plain, but I needed to use it up.